Going to this Year’s Eurogamer Expo? Will you be bringing your 3DS? If it’s yes to both, then this competition is for you! We love our 3DS consoles and you know that we love nothing more than to StreetPass, so we thought what better way than to combine the two into a massive StreetPass competition for all of you attending Eurogamer over any or all of the four days. We’ve got loads of cool gaming gear to just had out but we want to make it all a bit more meaningful. Bring your 3DS in StreetPass mode to this year’s Eurogamer Expo at Earl’s Court, London. 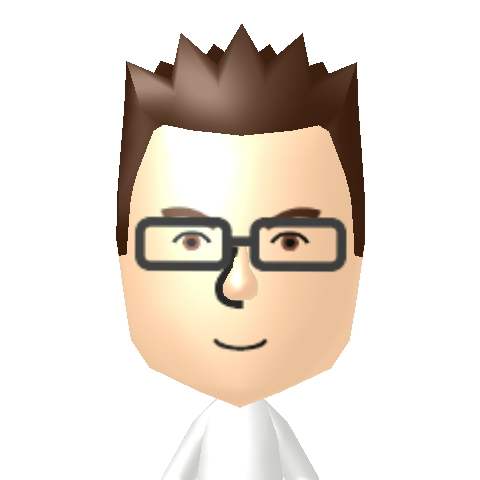 StreetPass throughout the event to obtain any one of our Miis shown below. 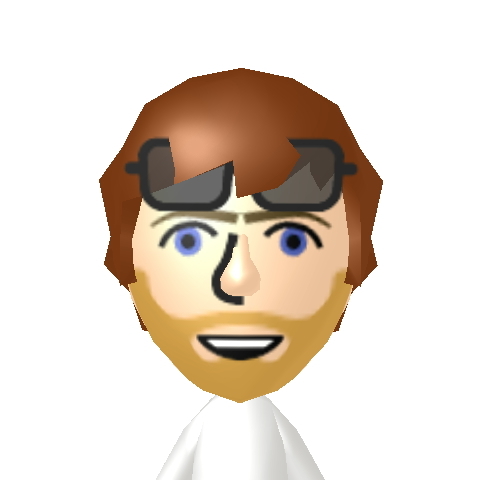 Email* us a photo showing any of our Miis on your 3DS screen along with your 1st and 2nd preference prizes**. Year’s free subscription to the awesome Kawaii Club by the Keep It Secret gang, worth £120. Insert Coin Clothing‘s Zelda hoodie – Fishing Tournament. Sega’s tribute to Sonic with Sonic Generations (3DS). Download code for one of these titles: Zen Pinball 3D, Marvel Pinball 3D and 3D Solitaire worth. Mario himself as an official figure from Five Element Distribution. Nintendo eShop Voucher worth £10. Competition closes on 30/09/12 at midnight. Due to the amazing response and requests, we have extended our competition deadline until 02/10/12 midnight. Winners will be chosen at random soon thereafter***. Twice during each show day at 12:00 and 16:00 we will be at the Nintendo Wii U Showcase stand (Zone 1). Be there for the best chance of StreetPassing us for this competition. Guess you would like to know what is up for grabs in this excellent competition? If StreetPassing us here at Nintendo Scene is not enough, you’ve got a good chance of winning any of the listed prizes below! They are awarded in randomly, but we might be swayed if you state a preference in your submission message to us. We’ve worked hard to bring you some great and original prizes that should appeal to many different types of gamer. We’re really excited to be able to offer you such prizes as.. The top prize (1) being this: Year’s free subscription to the awesome Kawaii Club by the Keep It Secret gang. Winning the Kawaii Club prize will give you a Year’s free subscription service for the Japanese & Asian Pop-Culture Otaku worth £120! Possibly the first of its kind in the UK delivered to your door. It offers you the chance to receive the Cutest & latest products from Asia. Even if you don’t win we can highly recommend it to you for a nominal fee of £9.99 a month and with free delivery! Here’s a cool YouTube review of this service from none other than the sweet Beckii Cruel. Next up we’ve secured none other than the best in Zelda clothing prize (2). Huge thanks again to our good friends over at Insert Coin Clothing. Not only for selling the best hoddies, many of we have in our collection, but for offering their fabulous Zelda hoodie to this competition. Available in male or female in all sizes. See it’s product page here for more information. You know you want this. As if that wasn’t enough to get you StreetPassing, we’ve got Sonic Generations 3DS as our 3rd prize (3). Celebrate 20 years of Sonic with Sonic Generations! Delivering the definitive gaming experience for Sonic fans old and new, Sonic Generations sees Sonic the Hedgehog playable as both the much loved classic 1991 character, and the modern day video game hero he has become in this exciting new fast paced adventure. Next prize (4) up for grabs of any gamer worth their salt is a download code for any one of these Zen Studio games. Zen Pinball 3D, Marvel Pinball 3D and 3D Solitaire. All great titles that’ll sit happily of your 3DS’s home screen. For prize (5) we have a highly detailed Mario figurine up for grabs. This collectable figure is one of a series that has been painstakingly recreated to each of the original characters video game attributes. A must have for any Mario collector. For more product see Five Element Distribution. We’ve got plenty of these handy £10 Nintendo eShop vouchers to simply give away as to random entrants our final prize (6). This is with special thanks to Nintendo UK. Spend them on what you see fit from Nintendo’s gloriously rich eShop offerings. What could be purer fun than a redemable voucher code to get all that Nintendo gameplay Love. Expand your collection with new and classic games. Choose from a wide variety of titles including Pushmo™, Mighty Switch Force, 3D Classics: Kirby’s Adventure, and more..
*Competition email address is StreetPassEGXP@nintendoscene.com with your screen image attached. **Winners are chosen at random and a prize will be allocated in preference of order. If a preferred prize is not available then an alternative from the prize list will be offered, if the alternative is rejected then your win is annulled. ***Winners will be contacted after the competitions closing date via the some contact email address from once the competition had been entered. ****We reserve the right to discount any entrant from outside the United Kingdom and if we believe any foul play to have taken place. (along with your 1st and 2nd preference prizes**.) I am being a bit thick here but not sure what you mean? So for this late reply. We just need to know which prizes you’d like. We don’t want to award someone a prize they don’t want.